This past Monday, former (thank God) President Obama unveiled his portrait at the National Portrait Gallery in Washington D.C., and for the first time I feel like we're getting a little bit of honesty from our former President. Now, I'm no art critic, but since the New York Times asked for the public’s opinion, I'll gladly give mine. First up in my list of observations is the obvious departure from "tradition" that Obama's portrait represents. 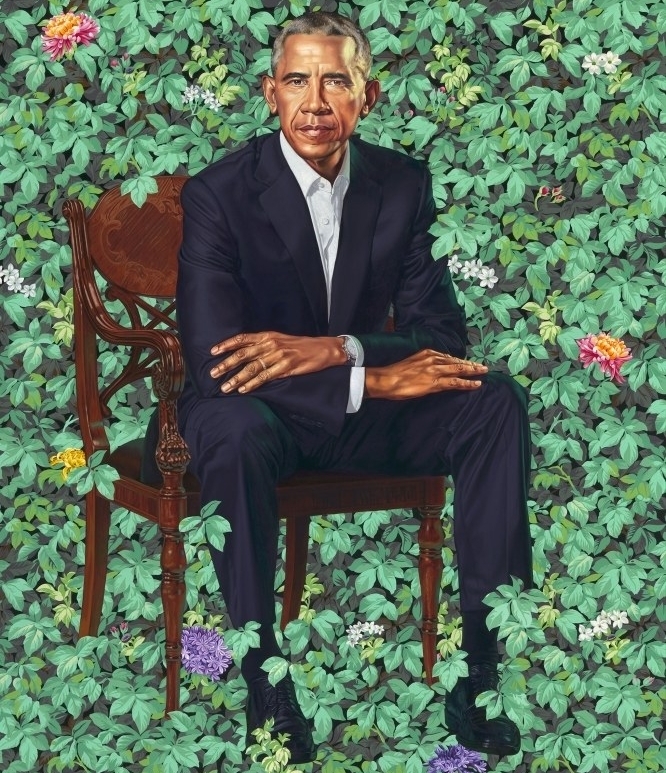 Instead of portraying the president as a regal figure, a leader, or a dignified human being, this portrait has the former President bizarrely posed in front of a wall of greenery. The artist (who we'll get to in a minute) has said in interviews that the shrubbery represents the President's native origins: Hawaii, Kenya and Chicago... This "interpretation" is not the first thing that came to my mind, but maybe I'm not sophisticated enough to make the connection. Frankly, I thought it was marijuana, which may have been more appropriate for this president anyway. The portrait is going to stick out like a sore thumb at the National Portrait Gallery, much like Obama's presidency itself, and I'm half tempted to buy a plane ticket to Washington, just to see how tacky it looks next to the scores of portraits made by good artists. This brings me to my second observation, that the President chose the artist, Kehinde Wiley, to make a statement, a statement that I'm picking up loud and clear: "To heck with you, whitey!" The artist has actually been quoted talking about this as a message interwoven in his artwork. 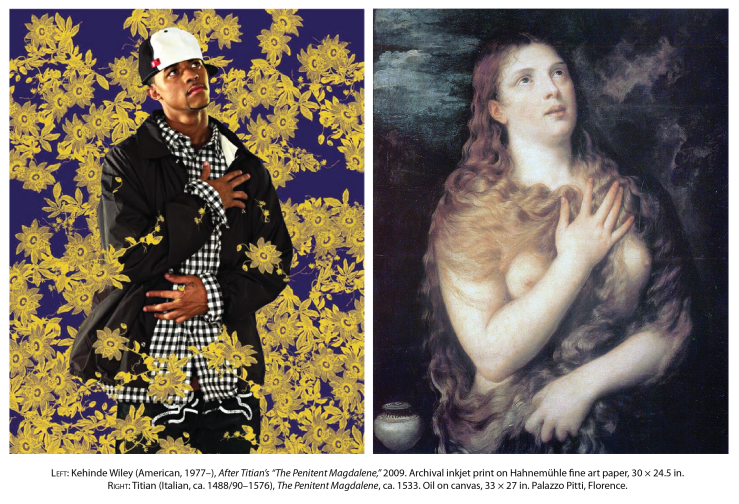 In an interview with New York Magazine, he said "It’s sort of a play on the ‘kill whitey’ thing..."
Kehinde Wiley is known for his rejection of "White Supremacist" artwork a.k.a. artwork depicting "white men" such as Jesus, the saints, Napoleon etc. ), by taking these portraits and replacing them with black men instead. What's more is his particular anti-Catholic and anti-Christian bent, which much of his artwork portrays. Wiley's work is frequently blasphemous, replacing the Our Lord, Our Lady and Saint Ursula, and others with random black people he pulls in from the streets to model for him. So what does this mean for us? Well, this really just confirms what we already knew about Barrack Hussein Obama: he hates us. Europeans, Christians, Catholics, straight cisgendered white males are all the scum of society for Obama, and the Greater Left for that matter. We constantly hear about the rise in racism, homophobia, transphobia, hate groups, the Alt-Right, etc. here in America, but we never confront the cause of it: the ideologies brought to us by the Frankfurt school (namely Critical Race Theory and Critical Gender Theory) and the people who have injected them into the mainstream, such as Saul Alinsky, Hillary Clinton and Barrack Obama. As Catholics, we cannot just laugh at the ridiculousness of the Left anymore. 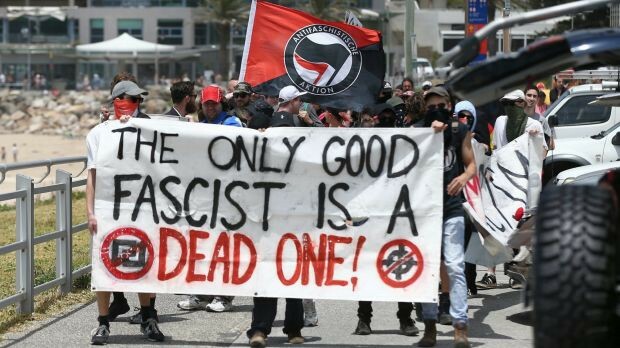 We cannot shy away from identifying the very real racism against whites, being spread by groups like Black Lives Matter, Antifa and the greater Democratic Party. We cannot turn a blind eye to the destruction of Western Civilization any longer, because we are on the brink. When a former president of the United States flaunts his anti-White racism and anti-Catholic bias, by choosing an artist who frequently depicts black women holding the severed heads of white women, who replaces our Blessed Mother (the Bearer of the Divinity) with a random black person, we need to wake up. We cannot allow these Cultural Marxists to continue the destruction of our country from within.